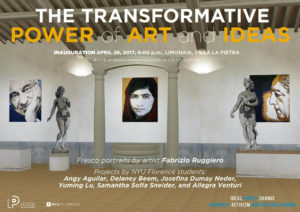 On April 26, NYU Florence will celebrate the opening of a new exhibition, The Transformative Power of Art and Ideas. 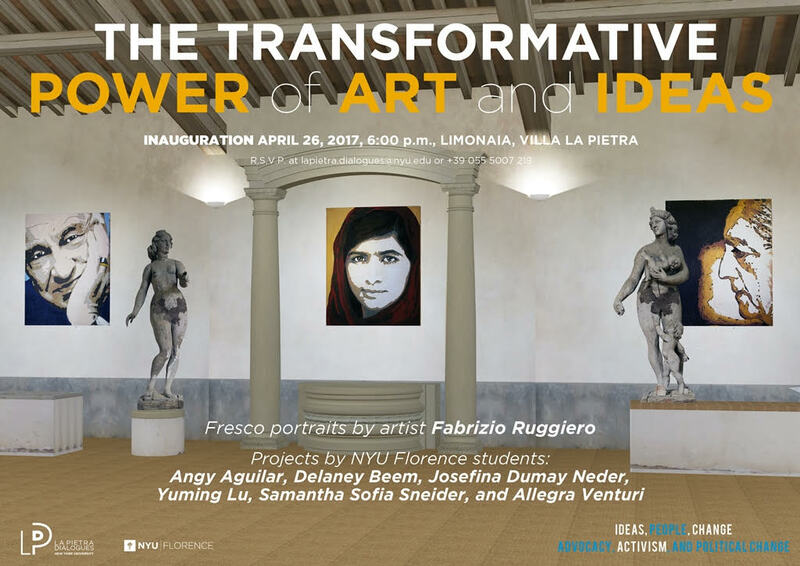 The exhibition includes fresco portraits by Fabrizio Ruggiero and projects by NYU Florence students: Angy Aguilar, Delaney Beem, Josefina Dumay Neder, Yuming Lu, Samantha Sofia Sneider, and Allegra Venturi. The exhibition will be in place from April 26 to June 18. The portraits were first exhibited in June 2015 at the United Nations Headquarters in New York to celebrate the 70th anniversary of the signing of the Charter of the United Nations and the campaign “Time for Global Action”.